This website is dedicated to the greatness that is the O RLY? Owl. 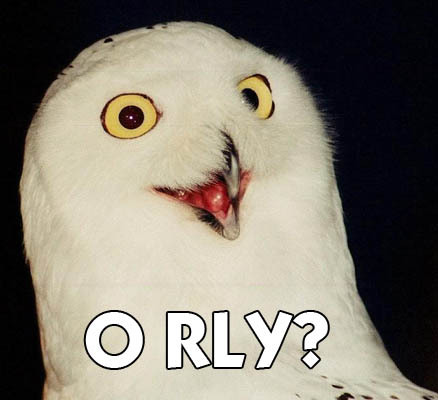 This owl perfectly describes the feeling of O RLY? It is possibly the greatest picture floating around the web. Without it, I feel that we may all be lost. So come in, hang out, and BASK IN THE GLORY THAT IS THE O RLY? OWL!! !